I’m Steph, an American living in Brisbane. My husband is Aussie and we have a little girl. As a child, I began sewing to supplement my imagination- you can see that’s still my primary motivation! 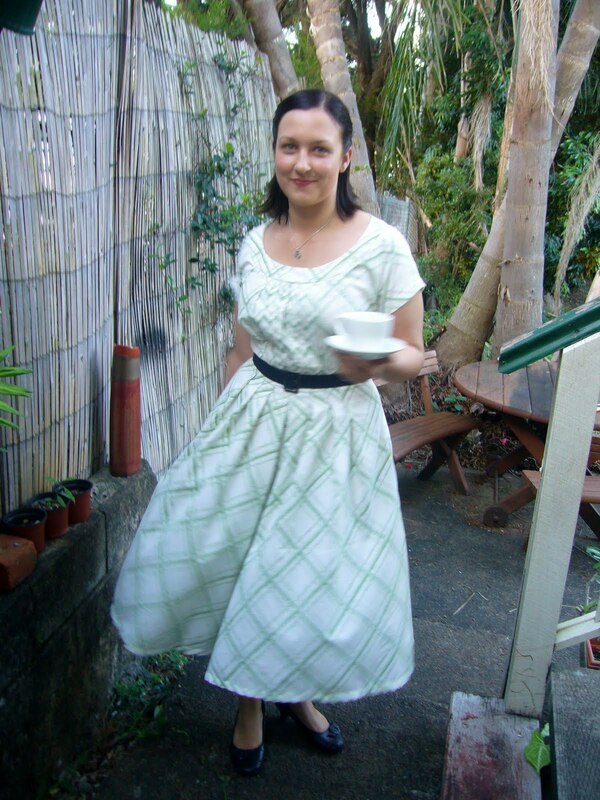 I teach basic and intermediate dressmaking, pattern making, and I also work as a “Consulting Dressmaker” for my advanced students in Brisbane, as well as for sewists in the online sewing community. Several years ago, I cast around for resources to help me create my own personal style and build a working wardrobe. I found very little information tailored for a home sewist, most books and blogs assume you’re at the mercy of the malls. As if we are! I built this site in the hopes that my “wins” and “fails” in style and wardrobe experiments might inspire others and help me learn to better dress myself. In 2012, I built on my previous teaching, drafting and sewing retail experience to build Cake Patterns- a new kind of sewing pattern, geared towards visual learners and time-poor sewists. 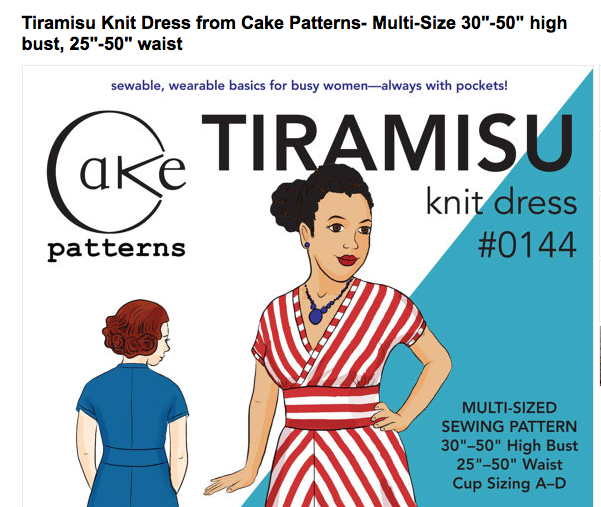 Cake Patterns are sewable, wearable, re-make-able basics, always with pockets. You can see the current Cake Patterns offerings here on Etsy. I’m available by email any time: StephC (at) 3hourspast (dot) com. I’m very excited to see how much you have on your website Steph. I look forward to some good reading and hopefully as time goes by some consulting on pattern drafting. 50 points to you for being the first person to comment on the new site! :) I’d be happy to do that, let me work out that awesome blouse first…. After the Dress and the Suit that are in the works. ;) You’ll probably be up for some drafting again by then. Hi, This comment is about needles. I enjoyed the technical info. you gave the other day about them. Is it true you can sand the barbs of used needles using fine-grain sandpaper? Have you tried this? I’m in love with the white version in the photo. Never got the chance when you were at Sewco to say how much I enjoy reading your blog.I am going to have a go at your t-shirt pattern after Christmas, and am definately going to design/order some fabric from Spoonflower, many thanks too for all your sewing wisdom. Wishing you and your family and wonderful and safe Christmas..
thanks that is very kind of you to say that, yes please let me know when and where you will be teaching next year, I really miss the sewing classes..
found you via the FB post from The Fabric Store – Brisbane. Great to see another brisbane sewer around! You have a really great blog! But I don’t want to take up too much of your time. Quick question: I just bought your kimono wrap top pattern from Craftsy and I’m not sure how to line up the pattern pieces. I get the tiling chart, but do I tape it so the pattern lines just touch, or do the L-shaped corner markers line up somehow? It would be great if you could set up a few sheets as they’re supposed to go and put a picture of that up on your blog. Please let me know. I’m anxious to get started on it. It’s so cute! I read in your sewing class information that you are trying to bring Colette patterns in to Australia to sell. If this does occur please, please, please let us know as I am sure I would not be the only Aussie who would love access to these patterns. I know we can order online, but sometimes patterns are better seen physically. Also, do you do more complicated classes here in Brisbane such as drafting and beyond? Well– I’m not a retailer so that’s not going to happen. :) There’s a few places, most notably “Piece Together” in the Gabba. http://www.piecetogether.com.au/ They carry Colette and even teach fun classes using Colette patterns, and I have a few projects upcoming at their place. Among them is possibly a drafting class or series and several other intermediate to advanced classes, but it depends on interest. I’ll be posting about all of that later this week! Squee! I love your blog. I am a complete novice sewer and would be interested in your sewing lessons but can’t find any information – I am new to blogging! Can you please email me through some info (megan.wolf@iedacconsulting.com.au)? i completely adore your blog! Very Very interesting and helpful. I stumbld upon it doing reserach for my next blog post too. Steph…. do you run any classes on sewing with knits..? I have made *several* of your patterns now, and am a committed fan, but still find my finish and technique needs work. A “masterclass” would be wonderful to work through a pattern and to hone some badly needed skills, particular to knits…. thoughts? I too would LOVE a masterclass on how to wrangle knits with less trauma and more success! I love the results I get with knits but find the entire process horribly traumatic as edges curl this way and that, and things slip and slide. Please Steph! Take pity on us, your loyal subjects! Ooh that’s two, half a class right there. ;) No, I keep it to six usually, so we can get super super specific and you get plenty of attention. There’s no need for knits trauma! Ahhhh, you’re killing me! ;) Ok, will get on the knits masterclass outline this week so we can start filling the knits mastery class. Stabilizers, elastic handling, curling taming, that kind of thing. Any specific requests? Subscribed and awaiting…. Kate and I come as a package deal (hehe.. friends who sew together…). For me, stabilizers – how to put them on without burning my fingers or slipping all over the place, overlocking edges and keeping the tails neat.. they are my biggies. Dealing with the really slippery stuff and stopping it flying everywhere when you’re trying to lay the darn pattern out. I keep winding up with wonky pieces :( Somebody call the wahmbulance! Hi!! I love your page!!! I saw you had a pics with stitches and was wondering what sewing machine you use to get these? My grand baby loves bows and I saw there was a bow#93 on your machine. Please let me know!!! Thank you! !